I knew there would be a banana submission to our Hack Job project! This one’s from Brian Tellock, Appleton, Wisconsin! 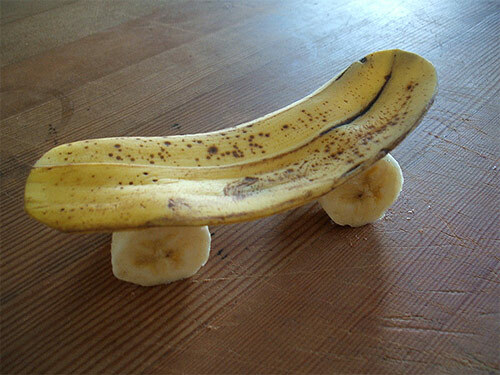 Go banana! Remember, Converse Skateboarding is giving us with 5 pairs of shoes to award to our favourite submissions, they need to be submitted before September 10th!